MyCareHelper is a communication system for people with a loss of speech or language restriction. 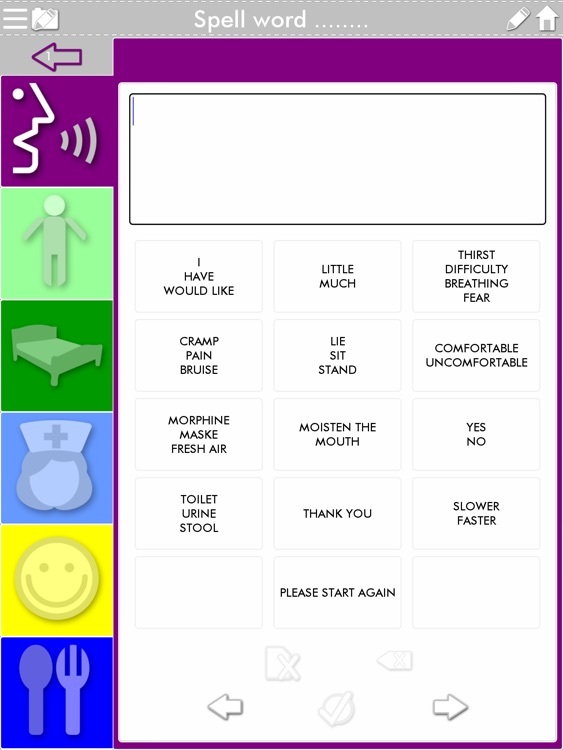 Developed in collaboration with ALS sufferers (MND), the app provides language support and is a general communication aid with the aim of supported communication. 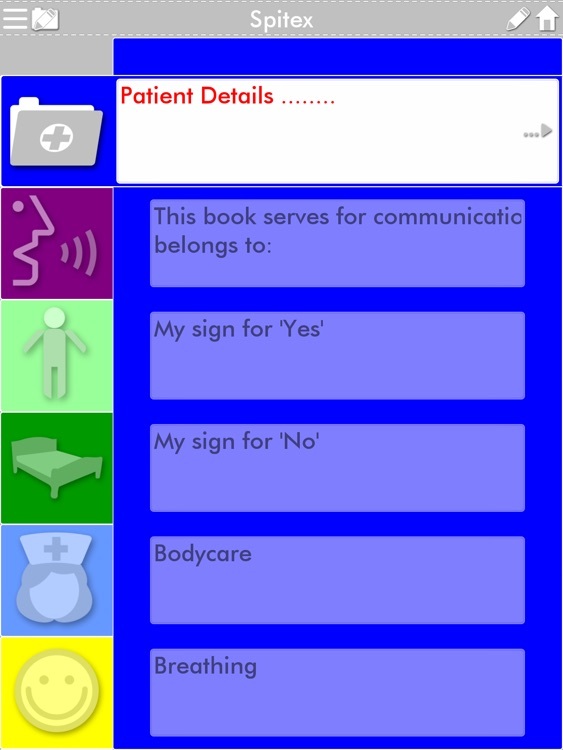 * App sections can be customised and adapted to the specific disease. 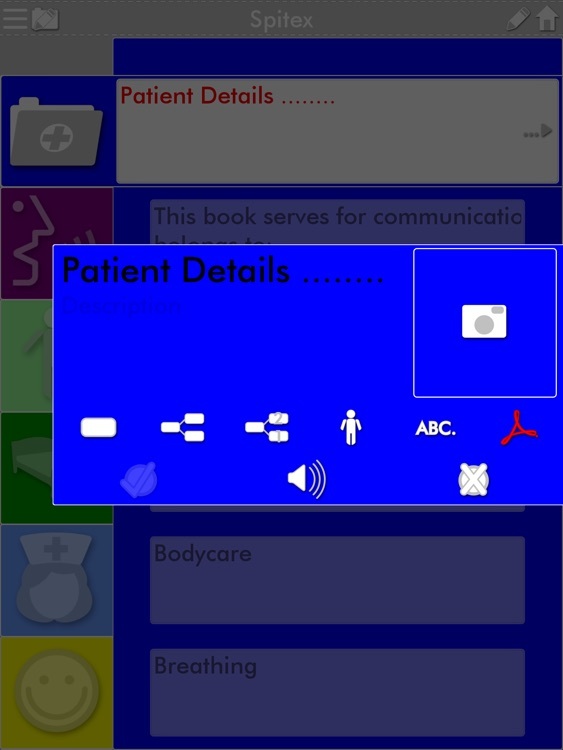 * Attach photo, audio and PDF files to help and instruct the nurses. * Whole body image for immediate and precise pain localization. * Define shortcuts for quick navigation of the sections.